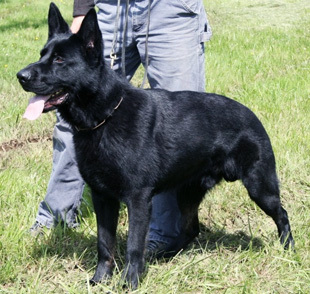 A fun loving and ball crazy substantial solid black young male with strong masculine characteristics, Lobo has a solid body structure with very good working conformation. 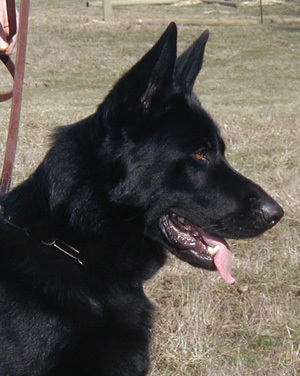 Typical of the type offspring Lux produces, Lobo inherits the excellent characteristic head type and super temperament which is typical of the Slovak and East German / DDR Dogs. Already showing the high intelligence and warm temperament which was passed to him from his parents, Lobo functions as a service dog for my friend Ed S. who lobo lives with. 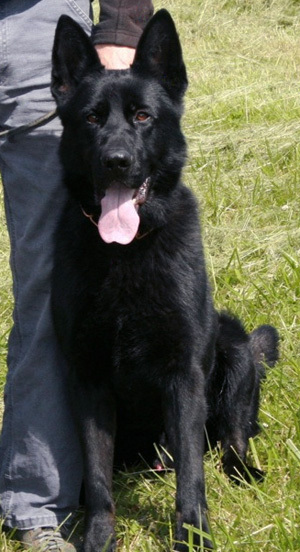 We are very excited with the progeny produced by this quality male of our own breeding, and look forward to what he will produce for our kennel in the future. 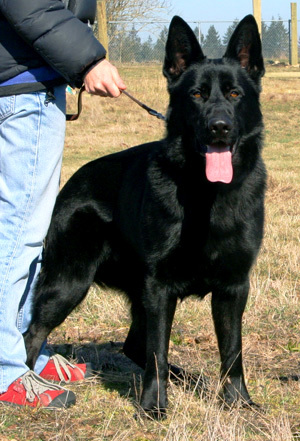 Lobo is of extreme quality with good focus and work ethic, and is a confident worker always willing to please. 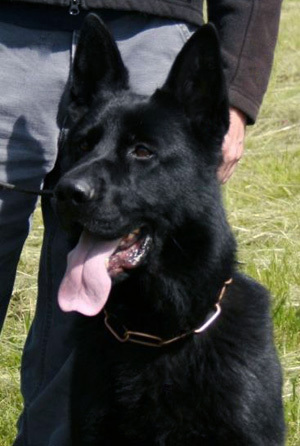 He has proven that, like his father Lux vom Kameruner Eck , he has an exceptional nose for tracking. 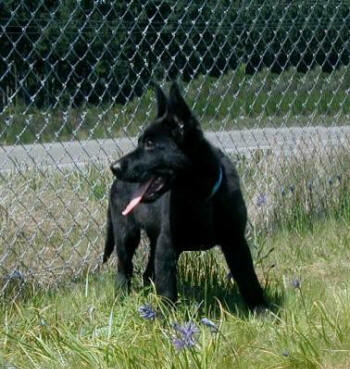 His first crop of 6 puppies produced 4 bomb detection prospects for the RCMP as well as 2 herding dogs, for Shelley Fritzke of Tehillah GSD in Canada. Shelley liked these pups very much and in 2011 once again used Lobo as her chosen stud for Faith, producing a litter of 10 pups. 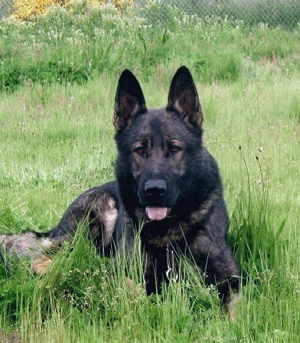 In 2011 Lobo also sired his first two litters for Schraderhaus K9, with Eina von Schraderhaus and also with Helga Eurosportu. These litters were excellent in work ethic and had tremendous ball and play drive with strong hunt instincts. Energetic and enthusiastic for the work, these pups also had excellent deep noses for tracking. 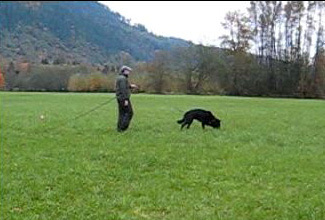 Lobo has excellent health and produces pups of strong bone and substance, suitable for use in S&R, narcotics work, schutzhund, herding & home personal protection.